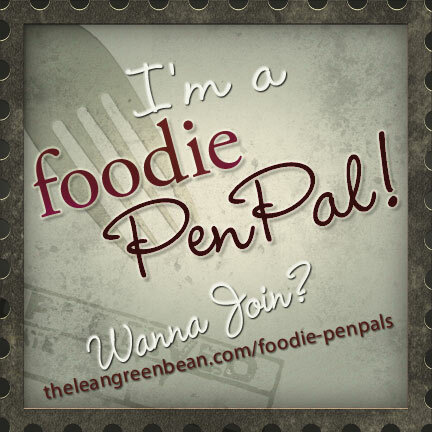 So I decided to sign up for Lindsay’s (The Lean Green Bean) ‘Foodie Pen Pal!” project. and I am so glad I did. A few of my fellow food bloggers had posted their May reveals and peeked my curiosity. My Pen Pal was Melissa of Melissa’s Cuisine a foodie from Western Michigan. 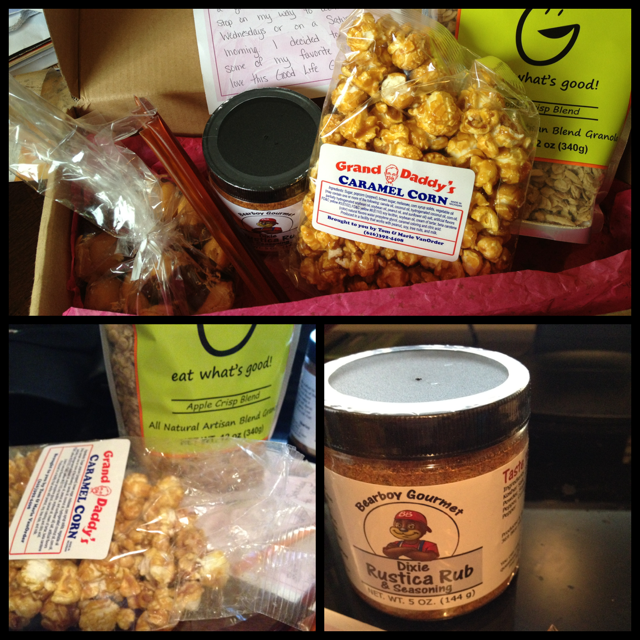 She sent me a few local treats ( I have to say the Apple Crisp Good Life Granola went quickly) and a homemade snack called “Peanut Butter Dippers”.At her local farmers market she also picked up Grand Daddy’s Caramel Corn (so good), Bearboy Gourmet Dixie Rustic Rub and a few flavored honey sticks. Thanks so much to Lindsay for creating this. I can’t wait to find out who my next pen pal will be! you might need like allergies or dietary restrictions. the month, you will post about the goodies you received from your penpal! writing a post for that month.